OUT HUSTLE. OUT WORK. OUT THINK. OUT PLAY. Bay Area parents and players may not enter the field at St. Martins prior to 5:30 p.m. in the month of March and 5:45 for the months of April and May. All pick up/drop off and parking must be made off of Tewkesbury Lane. The School/Church parking lot may not be used for any reason. The use of the playground, athletic courts or facilities on St. Martins property is strictly prohibited with the exception of the athletic field. This includes Parents, players, staff and siblings. 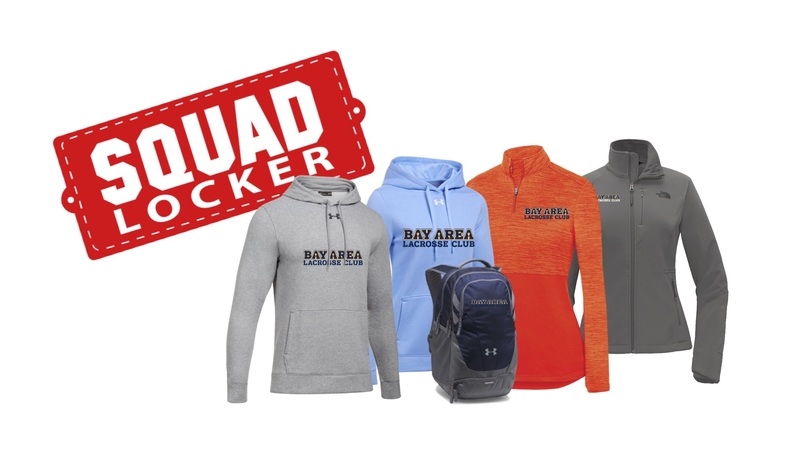 CLICK ON THE SQUAD LOCKER PHOTO ABOVE TO PLACE YOUR ORDERS. 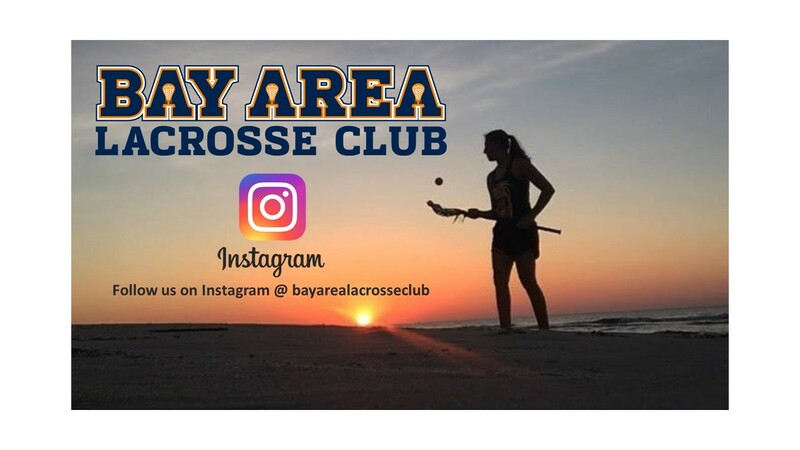 Bay Area Lacrosse Club is chartered to offer young women entering 4th through 11th grades the opportunity to develop and refine necessary skills to play lacrosse at the college level. Bay Area Lacrosse Club showcases these skills in national level college recruiting tournaments where players are afforded the opportunity to be seen by college coaches and potentially be recruited. Bay Area Lacrosse Club players are coached to be team players. Players are coached to maximize their contribution to the success of the team. Therefore, college coaches are given the best opportunity to visualize how the player might contribute to the success of a college-level team. Bay Area Lacrosse Club players, coaches, and parents are expected to adhere to the highest levels of good sportsmanship. Bay Area Lacrosse Club builds on a reputation of polished players, competitive teams, excellent coaches, and gracious parents. 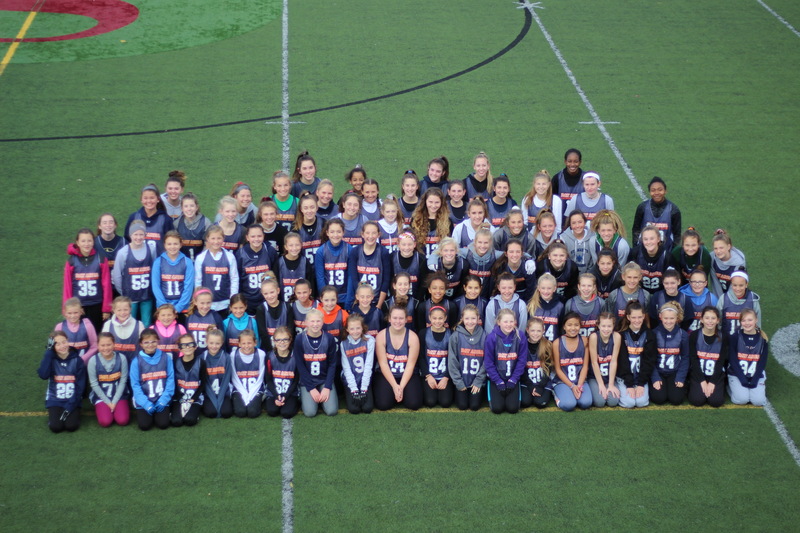 Bay Area Lacrosse Club is committed to support lacrosse competition at the local, national, and international levels.The Bay Area Lacrosse Club is committed to developing lacrosse skills for girls within a healthy, instructional environment of knowledgeable, committed coaches and talented players. We believe that lacrosse is not an end, rather a MEANS to an end – a sport through which girls can learn the life lessons of teamwork, community and persevering through adversity while developing into well-rounded, driven young women. This club values each individual player and their needs over the pride and vanity that many lacrosse clubs can get caught up in. We strive to balance the competitiveness of club lacrosse with the joy, direction, purpose and life-lessons lacrosse can provide to girls if channeled correctly. ©2019 Bay Area Lacrosse Club / SportsEngine. All Rights Reserved.